If you followed the news and politics after Barack Obama came into the presidency, you may be familiar with the phrase "hope is not a strategy" as said by Rudy Giuliani in the fall of 2008, in response to President Obama's message of hope and change. However, Mr Giuliani did not coin the phrase. In fact, the origin of this quote is unclear. Origin of "Hope Is Not a Strategy"
"Because 'change' is not a destination, just as 'hope' is not a strategy. Following on from that, a few months later, on January 23, 2009, CBS News posted a copy of an open letter that Dr. Benjamin Ola Akande had written to Barack Obama. Dr. Akande, an economist, scholar, and Dean of the Business School at Webster University in St. Louis utilized the phrase "Hope Is Not a Strategy" as the title of his letter. 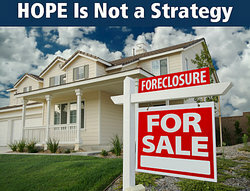 "Yet, the fact remains that hope will not reduce housing foreclosures. Hope does not stop a recession. Hope cannot create jobs. Hope will not prevent catastrophic failures of banks. Hope is not a strategy." While Mr Giuliani's speech and Dr. Okande's letter were perhaps two of the most well-known uses of this phrase, it was not actually coined in response to President Obama's optomistic message. "Hope is not a strategy" is an adage that has been much used in military circles, possibly since the mid 20th century, in relation to national security operations, although who uttered it first is unknown. In 2006, Hillary Clinton said it to General John Abizaid during his congressional testimony to the Senate Armed Services Committee. In 2007, Madeleine Albright used it when speaking before the Senate Foreign Relations Committee. In 2012, Mitt Romney used the phrase in a speech at the Virginia Military Institute. Not only will you hear it among military personnel, it is also a popular phrase in the buisness world. It was the title of a book written by Rick Page in 2001, Hope is Not a Strategy: The 6 Keys to Winning the Complex Sale, and one by Ted Gee in 2008, Hope Is Not a Strategy: Simple Solutions for Doing Business in the 21st Century. Director James Cameron also used the phrase in an address at the NASA Administrator's Symposium in 2004, regarding his search for the Titanic, saying "Luck is not a factor. Hope is not a strategy. Fear is not an option." In addition, the phrase has often been attributed to football coach Vince Lombardi. While it's entirely possible he said it, it cannot be verified. Hope will only get you so far. You cannot just wish away your (or the country's) problems. There needs to be a concentrated effort to reduce problems and to increase positive opportunities. Just sitting around thinking about how the current situation could be better is not going to change anything, you also have to act. Certainly, hope and prayer can work in the face of a difficult situation, but you need to be prepared to do your part to assist in the completion of the goal as well. "Who Said \"Hope Is Not a Strategy\"?." YourDictionary, n.d. Web. 24 April 2019. <https://quotes.yourdictionary.com/articles/who-said-hope-is-not-strategy.html>.